Your brakes are among the most important parts of your car. Without them, you won't be able to stop effectively, so it only makes sense that you have them regularly checked and maintained as necessary! There are many parts involved with the braking system on most modern cars, so you need expert advice and assistance. Car brakes come in various different types. The most common for commercial cars, however, is the disk brake. This uses a large disc, located behind each wheel, with a brake pad. The disc rotates with the wheel but, when the brakes are applied, the pad is pressed against this disc. The resulting grinding and friction is what causes the car to come to a halt quicker than if the vehicle was left to slow down naturally. While more luxurious cars utilise 4 disc brakes, many cars still feature drum brakes on the rear wheels. Drum brakes utilise a namesake drum behind the wheel, with brake 'shoe' components pushing against the inside when the brakes are applied. Again, this generates friction and dissipates the kinetic energy gained by the car's momentum. Why Do You Need To Check Your Brakes? With regular use, brake pads wear down. Near the end of their life cycle, your brakes will not be able to generate as much friction. This leads to an inability to disperse energy, increasing your braking times and distances, impacting your car's very ability to quickly stop. This is why many brakes have a wear indicator. Some look like a tab on the side of the brake, offering a visible gauge, while others are designed to generate a distinct noise when the brake wears through, warning you that your brakes have completely worn down. In addition to your safety, you should also be aware that a car's brakes are tested as part of the MOT. The test will look at the thickness and compare it to the manufacturer's recommendations (often using the wear indicators). In other words, letting your brakes wear down too much can prevent your car from passing its MOT. What Condition Should Your Brakes Be In? The key factor of any brake system is to check the brake pads (in the case of disc brakes) or the brake shoes (drum brakes).Yet, as a whole, the entire brake system should still be in a good condition. Look at the discs themselves and ensure they are round and complete. Any chips or gaps can cause problems, as the pads have less surface space to apply themselves. Similarly, drum brakes are can often collect water if not properly drained, which can reduce the shoe's ability to create friction. Because of their high importance to your safety, as well as your car's performance, it's worth getting an expert to take a look at your brakes on a regular basis. This is why we offer free brake checks at MotorServ UK: we believe it's important drivers can always check on the quality of their brakes. Likewise, your brake fluid is vital, as this ensures a smooth connection between pads and discs. Even if your car has no leaks, it is still recommended to change your fluids every 2 years. This will extend the lifespan of these parts. This is why we also offer pad replacements from £99 and a fluid replacement service for £57. Our simple, low prices make it easy for you to always ensure your brakes are working as efficiently as they should be. 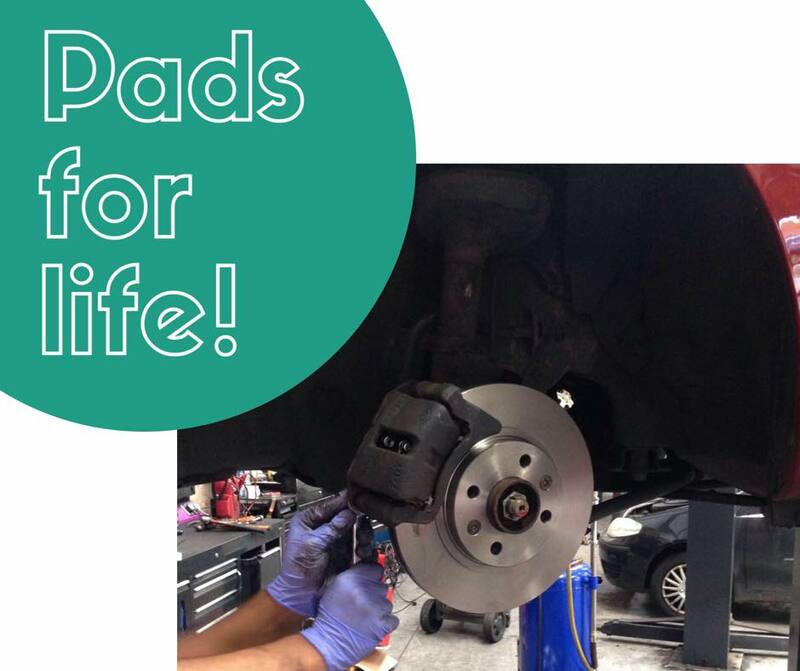 We want your business, and want this as an ongoing business relationship, so we offer a PADS FOR LIFE scheme, whereby if you have either your front or rear pads changed by us, you will be eligible for replacements on those pads for the life of the vehicle when a change is required. This can be transferred with the car to a new owner, and is only limited to people who do less than 30,000 miles per annum from the time of the voucher issue date (and also includes brake shoes!). OEM standard fitments only. Vouchers must be presented prior to fitments of replacement parts, No cash or credit alternatives will be provided. Original vouchers only, no copies will be accepted. Pads are changed in pairs, so separate vouchers will be provided for front and rear pads separately. Vouchers are issued for the vehicle and last the lifetime of the vehicle, and cannot be transferred to other vehicles. If you sell the car, the voucher can be used by the new owner. 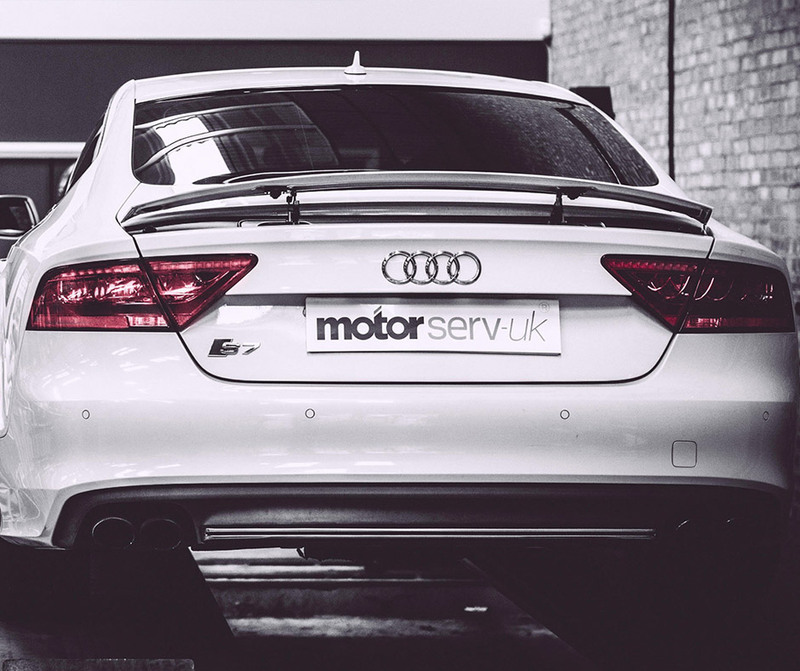 MotorServ UK reserve the right to remove or amend this offer at any time. This offer is not valid for Taxi's or other transport companies. We are able to supply and fit Brake Pads and Discs as well as all other moving components, from Manufacturer OEM sourced supply, or quality aftermarket OE quality branded items. We can price suited to ALL budgets. Brakes are part of the full MOT service that we offer, we will always make sure the pads are performing effectively and will always check brake fluid is at the right level and at the right concentration. Brake fluid is recommended for change EVERY 2 YEARS by most manufacturers, and will extend the life of your brake components, so we offer this service at only £57.00 all inclusive on any vehicle. With prices from just £99.00 for a pad replacement, contact us today!